Ever since first stepping into the field of digital forensics I’ve always had the desire to start my own business. I wanted to do something that cuts through all of the nonsense and complications introduced by layers of management and sales-people. My philosophy would simple, let the investigator speak straight to the client. By so doing nothing gets lost in translation. Nothing is over-promised or under-delivered. By doing so, investigations stay focused and on-track. They stay in budget. I’m happy to say that the day has arrived. Today I’m proud to announce the forming of 337 Forensics. We are based in the DFW area and ready to serve your digital forensics needs. We have over 10 years of experience working in the field of digital forensics. We’ve worked with criminal prosecution, criminal defense, corporate and private clients to provide the results that matter. We’ve seen the nature of the business and our aim is to help you get results simply and quickly. We hope to be of service to you in the near future. Lee is a digital forensic investigator with over ten years of experience in the field. He lives in Wylie with his family and enjoys soccer and flying drones. This is the official blog for 337 Forensics. Here you will find the latest news and events. 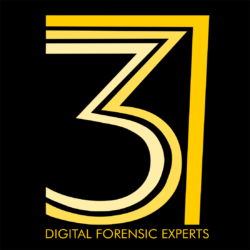 We have over 10 years of experience working in the field of digital forensics. We've worked with criminal prosecution, criminal defense, corporate and private clients to provide the results that matter. We've seen the nature of the business and our aim is to help you get results simply and quickly.